A new Women’s Prompt Writing Workshop will begin in April 2012! This is great news for women writers in the Wake Forest/North Raleigh area. The Storyteller’s Book Store will be the perfect space for this event. The bookstore is located in downtown Wake Forest on a strip filled with quaint stores, coffee shops, and art galleries. Aside from an eclectic selection of books, the store’s atmosphere is sure to inspire readers and writers alike. See the Wake Forest Workshops page on this site for registration details. 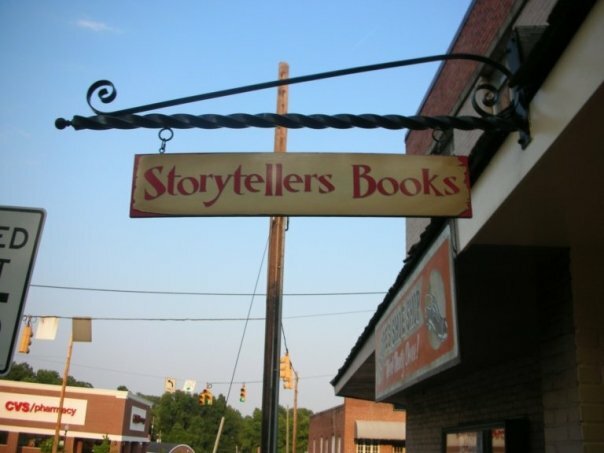 Also, visit Storyteller’s at http://www.storystorewf.com Better yet, go in person. The owner, Drew, has a generous spirit and will introduce you to the storyteller’s barber chair.